My main emphasis is prose, of course, whether non-fiction or fiction, but every now and then I have an idea for a poem that I simply cannot resist. Some are serious, and some are playful. I only have a few, though, and all are linked below. “Split Peach.” CleanSheets.com May 2008. 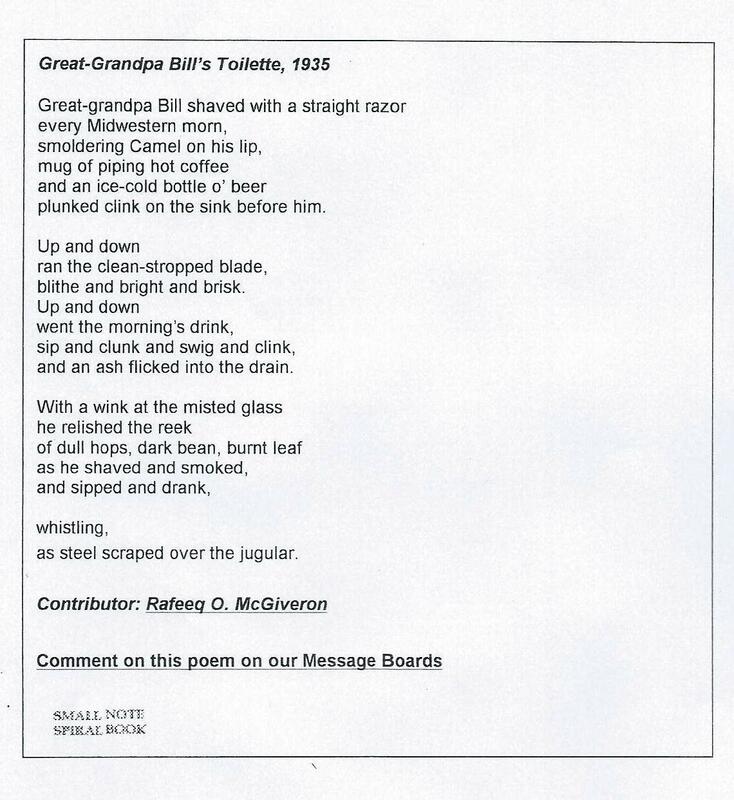 URL: http://www.cleansheets.com/poetry/mcgiveron_05.14.08.shtml. 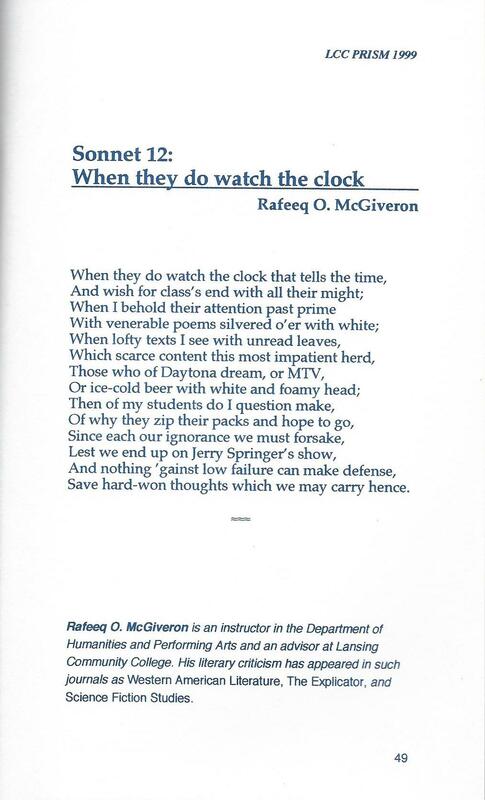 “Sonnet 12: When they do watch the clock.” LCC Prism 1999: A Faculty Journal (1999): 49. Available here. “The Rime of the College English Prof.” LCC Prism 1996: A Faculty Journal (1996): 32-35. Available here. “The Cravin’.” LCC Prism 1994: A Faculty Journal (1994): 36-38. Rpt. in The MacGuffin June 1995: 85-88. Available here.